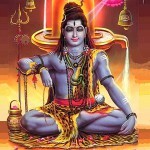 This topic contains 230 replies, has 34 voices, and was last updated by Swamiji 8 years ago. Prove it or lose it? Ok – but thine own sovereign is thy sole judge. Easy to say. What are the unwarranted assumptions? Ah, the retreat of postmodernism and relatavism! But those too require reason…on what is that reason predicated? Either you didn’t understand my argument or you like non sequiters. There is nothing that said prove it or lose it. There is a claim that you can’t have your cake and eat it, too. Did I say anything about unwarranted assumptions? If you want to go off on further assumptions then that’s one way of answering a post, but you’re just talking to yourself if you do. Assumptions, when warranted, are just fine and dandy. When unwarranted, however, they harm a claim. To simply say there are assumptions is an observation, making no claims; to say that they are unwarranted contests the claim on that premise. That’s a judgement after the fact about a reasoning process that preceeds a judgement that may or may not be warranted. Not at all fine and dandy unless you skip reality till after dinner. An assumption is based on judgements as well as observations. This curry I’m eating may or may not cause aggravation with my intestines; – is an observation. ‘This curry is going to give me the shits again’ is based on an assumption (based on an experience that may or may not be warrented (for instance – perhaps the curries you’ve eaten have all been Korma’s and you’re lactose intolerant but you’ll do fine on a vindaloo)). The very nature of an assumption is a claim and a judgement of some sort. To say assumptions are simply observations, making no claims denies the nature of the assumption. To say that an assumption is unwarranted does not contest the claim on that premise any more that the initial assumption does. I think you need to read over my reply again. Assumptions that are warranted may be in error, but are acceptable as postulates. That’s what warrant means (in this context). Assumptions that are unwarranted are things that need to be separately argued for in order for their conclusions to be acceptable as premises. That is why they are not warranted as assumptions…they are in dispute or in principle disputable in come way. You said there were assumptions. I asked if there were unwarranted assumptions. You said you didn’t say anything about unwarranted assumptions, and I was making assumptions. 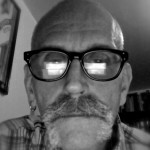 I attempted to clarify that what I am asking for is a clarification…are you saying there are unwarranted assumptions in my argument, and if so, what are they? I was not “assuming” anything in my initial reply, I was asking for a clarification of your point. As for your problems with induction…well, take that up with Hume and many others. If empiricism is valid at all then our senses are at least a partial source for knowledge, and our senses tell us that it is a matter of fact that the serial of an event, all things being equal, usually replicates the prequel. It’s the entire premise of learning from experience. Is it airtight? Of course not, as many a mind better than mine have conceded; we always have to make an inductive leap that does not necessarily follow from the premises. This is why we say a deductive argument can be valid or invalid but an inductive one can be strong or weak. If eat curry, then get digestive complaint or not get digestive complaint. If the majority of times I have eaten curry I have gotten a digestive complaint, then there is a high likelihood I will get a digestive complaint the next time I eat it. While I share your basic distrust of inductive predictions, I must find that to be primarily an academic complaint, not an experiential one. In my experience it is a fact that serial events replicate their prequels, all other things being equal. It is the main premise functional knowledge (knowledge how) works upon, and we do seem to be able to make things occur (like posting to this board) pretty reliably. Again, are there actually unwarranted assumptions in my main argument about idealism vs. physicalism, and if so, what were they, or were you simply observing that I did, in fact, make assumptions? to be natural consequences of elementary population processes. a unified evolutionary science of rationality. I’m aware. It did come out several years ago. My claim is the same…if reason is only the product of a physicalist process then it is not justified. The fact that our biology does in fact “do reason” affects this not at all…of course it does. And the fact that our biology evolved is most likely correct. It’s not difficult to draw one notion from the other. Remember, my claim is not against that there are physical things, and that those things provide instrumental processes that allow reasoning to happen. My claim is against physicalism…the reductive claim that all that exists is matter/energy. My claim is that this leads to no justification for reason being a method of testing truth claims and arriving at knowledge, and I further make a positive claim for at least a weak idealism: that in order for reason to be justified in claiming to have an insight into the relation between propositions and states of affairs abstract ideas must possess ontological freight…they have to “exist” in some sense, and our minds must have some access to them, in order to underlie our claim that our logical intuitions that lead to our axioms, operators, and rules of inference in reason. 3. Mystical experiences that appear to grant insight into ideal realities do not need to explained in physicalist terms (the original issue this was all about). They can be criticized, of course, but not simply because they don’t have a physicalist mode of explanation. if reason is only the product of a physicalist process then it is not justified. “Justified” doesn’t mean anything in this context. When we say that a thought is true, all we mean is that our thought appears to correspond to the world outside of our thoughts due to evidence — data from the apparently external world that we compare to the thought. And that’s it. Whether thoughts that match evidence are “justified” (whatever that means) or provide a “true insight into reality” (whatever that means) — is unknowable and irrelevant. Reason, which certainly appears to be a product of evolution that developed because it increased chances for survival, just as much as our opposable thumbs are, enables us to abstract our experiences from reality and turn them into thoughts. Those thoughts are rooted in brain activity. Of course abstract thoughts exist, but they exist in a way that is completely dependent on the existence of brains. Well, they don’t “need” to be explained at all. But when you do start trying to explain such experiences and claiming that they give you “insight” into reality — and both of these activities require the use of reason — you will need to appeal to evidence outside of your thoughts. And based on that evidence, the most likely explanation is that these experiences are rooted in the physical world. I wasn’t dismissing other Thelemites. I was dismissing the idea that enlightenment can be equated with generating trances. I agree that the development of concentration that leads to many trance experiences can later aid one in paying more attention to reality instead of paying attention to the mind — but the attainment consists in the attention in daily life, not the trances in and of themselves, or the repetition of holy books in and of themselves, or whatever else. The act of eating a cheeseburger and dissolution in the body of Nuit may, in fact, be one and the same. you will need to appeal to evidence outside of your thoughts. And based on that evidence, the most likely explanation is that these experiences are rooted in the physical world. What evidence outside of your thoughts did you use to come to the conclusion that in order to claim that one has a true insight into the nature of reality one must appeal to evidence outside of your thoughts? This is what is meant by epistemic justification…on what are you premising your claim to knowledge of the truth-values of propositions? If you saying it is correspondence between a thought and a state of affairs, you have to have a way to recognize that correspondence, to know that the way your thoughts tell you things “make sense” or “logically follow” is a meaningful understanding. Let me go real slow and simple. This proposition postulates a predicate of a subject…it says “there is x that is y”. Propositions can be true, false, or undecidable. In order to be a proposition, the notion of truth-value has to exist for the statement, meaning that statements like “Happy Birthday” or “Take out the trash!” are not propositions. The first is a verbal symbol for communication emotions and the second is a command; neither predicate a y of an x, though they may include implied notions that do assume propositions. In order to judge the truth-value of a proposition, one has to be able to recognize the correspondence between a state of affairs and the proposition. This recognition of the correspondence is a “true insight into the nature of reality”; it purports to be a intrinsic sense of whether a claim corresponds to a state of affairs. 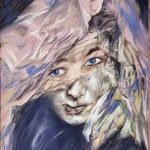 When we judge the truth-value of this sort of proposition, we are recognizing the correspondence between a state of affairs in the realm of matter and the proposition. We have a similar insight about this statement. We recognize that it “follows” that if I know that every time I see an A I see a B, and if I know I don’t have a B, then I know I won’t have an A. We are recognizing the correspondence between a state of affairs in the realm of ideas and the proposition. Now, in order for us to claim that these insights are real, in order to say that there is any reason to believe that what we recognize as corresponding does in fact correspond, these insights have to be appealing to some sort of set of abstract principles, a realm of thoughts and ideas that exists independently of the machinery we use to think and talk about it. This set of principles is available through introspection and intuition, experiences that do not derive from sense-data, because how can we get correspondence from something that must itself be judged to correspond in order to be accepted? It presents a circularity. Under physicalism, the only ontologically allowable “stuff” is matter and energy; no abstract particulars like rules of logic that we can recognize as “following” allowed. This means that there is no way to say that our reasoning can be valid in any real way, because there is nothing real to refer it to. Since we have to reason to come to judgments about the physical world, all of our theories about the world, including the ones that may have led us to come to a physicalist position, depend on the validity of reason. Reason requires true insights…it has to be able to judge whether a proposition corresponds to either experience or what “follows” logically. Therefore, in order to allow our claims about science and the world in general to actually be true, rather than just a set of electrical reactions and chemical releases evolved to keep us alive and reproducing, we have to allow some form of idealism and some access to the realm of ideas by the mind. So you can have the facts that reason and observation tell us be true and allow for idealism, or you can say that physicalism is true, all that exists is matter and energy changing places in complex ways, but we have no way of knowing whether anything we think about it is true, even base observations, including the idea that physicalism is true. All the claims, such as “uncanny persistence and consistency of experience”, which are usually used to make a principled distinction between dreams/hallucinations and waking life, depend on being able to recognize “what follows”, “what corresponds”, “what makes sense”, which requires us to make real insights using our mind into the nature of reality, both physical and abstract. Once you allow for idealism to be true, then since at least some ideas are ontologically independent of us and since we can reach insights about them via the mind, it follows that a completely mental experience can (and does, every time we make a judgment) give access to real knowledge. Once you allow for completely mental experiences to give access to real knowledge, the contents of mystical experiences and their validity are no longer dependent on external or materialistic evidence. Is this still about Thelema and/or Aleister Crowley? Definition. “Reality” is the label that we put on that which is not dependent on minds. “True” is the label that we put on propositions that match evidence that is not dependent on minds, determined to the best of our ability. We have a similar insight about this statement. We recognize that it “follows” […] Under physicalism, the only ontologically allowable “stuff” is matter and energy; no abstract particulars like rules of logic that we can recognize as “following” allowed. The rules of logic are the ways that our minds work, predicated on our experience of reality. The rules aren’t “things” that have a nature; they’re our formulation of our understanding of the nature of things, i.e. they’re the way that our experience of things works. We’d have never come up with a “law of identity,” for example, if our experiences did not suggest a consistent universe. The “law of identity” is our abstraction from our experience of consistency. 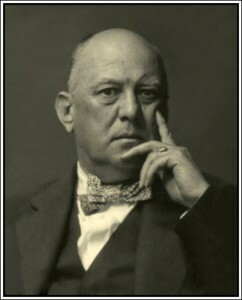 One could make the argument that an understanding of reality — as well as an understanding of the source and role of trance experiences — is fundamental to the work of Aleister Crowley. Or not. Feel free to start talking about the magical diary again whenever you’d like. Los: Feel free to start talking about the magical diary again whenever you’d like. 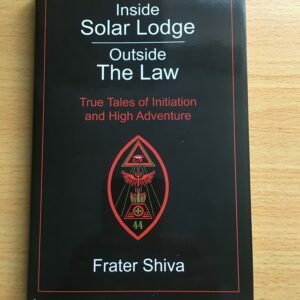 It is really no good to dismiss these other Thelemites wholesale as being errant, because their perspectives derive from the same source as your own, from the works and writings of Aleister Crowley. Well, yes and no. Just as Los’s views derive from a rather wider perspective than the writings of Aleister Crowley (since he died in 1947, and there has been a great deal of scientific advance since then, this is perhaps fortunate), the views of myself and others – who frequently like to cross swords with Los and others of his ilk – are similarly informed by rather more than the writings of A.C. Still, me old mucker, your heart’s in the right place. For me, Michael, Thelema = true Will. I believe that Los would agree. 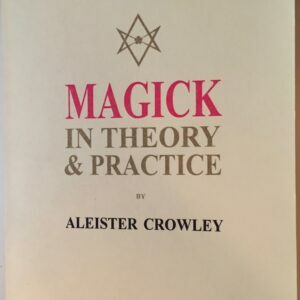 Of course, Crowley did not invent or discover true Will, but he did elucidate, elaborate and expound upon this vital concept, and it has become identified with him as a result. 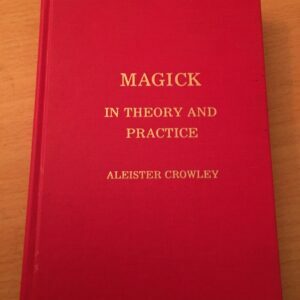 As have noted before, I consider Crowley’s work to be foundational to what has followed it (I believe that you and/or Kyle agreed at the time) and, of course, much more will follow upon that. I do not deny, as many do, that much of what has followed is relevant to Thelema (although some it is just silly), but I hope to reply to Kyle’s post in the current ‘Typhonian,’ thread later on today regarding that. My post here was written more with Los’ perspective in mind. Cheers. I largely agree with you, Camlion. My post was largely a frivolous one, as regrettably many of my posts these days are. My salad days are long gone. the Holy Books are absolutely superb, but sadly these days I’m inclined to think that the Holy Books were simply religious propaganda pieces, that his actions were largely motivated by his own ego and that his religious instructions were recycled from other sources dishonestly and without thought. Obviously Crowley was *mistaken*, in a way that Woodroffe was *not* (at least in the Dover edition). Crowley was a tourist, yet he had the nerve to take photographs of himself illustrating this position! I suppose I might as well offer up the G.D. ritual corpus as a third example, though obviously Crowley did make some (very minor) contributions to that corpus later on. A belated question to Ian: what makes you think that Crowley and Hatha Yoga Pradipika are describing the same asana? I don’t think we may ascertain this for sure, for as far as I know, he never relates the two explicitly. Vajrasana (“thunderbolt”) is also a name for siddhasana (see Hathayoga Pradipika I:37), though these days it usually refers to the one Crowley called the Dragon (which he also got wrong, misunderstanding the description in a similar manner). Compare the descriptions which I’ve quoted above and you’ll see Crowley’s Thunderbolt and siddhasana/vajrasana are obviously the same. Additionally, he refers to the Thunderbolt as “the Saivite A’sana” in Eqx. I:4, which is doubtless a reference to the Shiva Samhita in AC’s Burtonesque style. Allan Bennett, a keen Yogi, told me much that was new to me, things he himself had learnt mostly from mystic Christian, Western “occult” and Hindu sources. At the time I thought it was all Buddhist Yoga, and I practiced assiduously. Later, when I studied Buddhist yoga for myself, I discovered that Allan Bennett’s knowledge was vague, wonder-seeking, and really only played about the fringe of a truly marvelous [sic] avenue for study and practice. – Cassius Pereira, “Why Do I Renounce the World?” in The Ceylon Daily News 28/03/1947, 67; quoted in John L. Crow, “The White Knight in the Yellow Robe” (unpublished M.A. dissertation), 47-8. On a broader level, I think it’s a mistake to assume Crowley knew what he was talking about all the time. He quite frequently made supposedly obscure allusions in a rather pretentious way as if to indicate vast knowledge of a subject, but really these allusions lack specificity and depth, and tend to indicate the ends not beginnings of his knowledge (in contrast to his predecessor Burton). In this case, though, the fault is perhaps Bennett’s. There is a lot to be said for AC’s incorporation of yoga into the Western canon, and whilst I criticise his writings on yoga from a modern perspective, at the time he wrote them they were pretty valuable. I suspect Crowley was drawn to yoga, as to sufism, because of the interest of his great hero Richard F. Burton in the subject. Burton claimed a dhyana during a brief study of yoga whilst in the East, and I suppose Crowley didn’t feel he could leave Ceylon without gaining something similar; and whereas Burton was initiated as a Master Sufi (whatever that is) in Cairo, whilst Crowley was in Cairo he made comparable claims to Masterly visitations and so on. Seeing himself as a great explorer, he could hardly come back without discovering the source of his own Nile, the river of Amrit no less! Thanks for the comments and clarifications Ian.